The The Goddess Oracle is available worldwide! This wildly successful Divination Deck and Book set is again availible in English, published by U.S. Games (and also in Spanish, Portugese, Dutch, and German). Details on availability are available here. 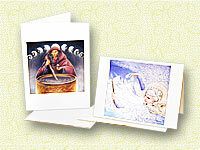 The Goddess images in the Goddess Oracle are drawn from Hrana's Goddess Icon Series, appearing in The Goddess Gallery and in many forms throughout the world. Hrana showed this watercolor at the Horses In The Sun (HITS) Equestrian Art Show in the Saugurties, New York. This was painted for the Equestrian Art Charity Auction at theshow grounds, after being displayed at Woodstock's Fletcher Gallery. See Hrana's Equine Art page for more of her horse paintings. 108 brush paintings by Hrana in a wonderful yoga book by Ami Jayaprada. By popular demand, dozens of Hrana's published book covers. See my Fey Fantasy Foils! 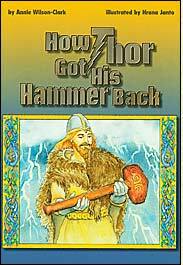 Check out my latest children's pieces, two new elementary school readers for SRA/McGraw-Hill, How Thor Got His Hammer Back, and The Slave and the Lion. 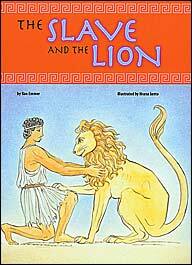 Numerous children's illustrations for book covers, magazines and stories. All that children love--tasty images for tales of magic, mystery, beastly dragons, strong princesses, and little furry bunnies. Venture into the lands of Faeries, Dragons, Warriors, Kings, Queens, and all manner of Phantasmagorical Beasties. Spend a timeless moment, or perhaps eternity, in the twilight world-between-the-worlds. 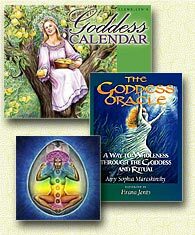 Much of my fantasy work has been published in Myth & Magic and Goddess Calendars. 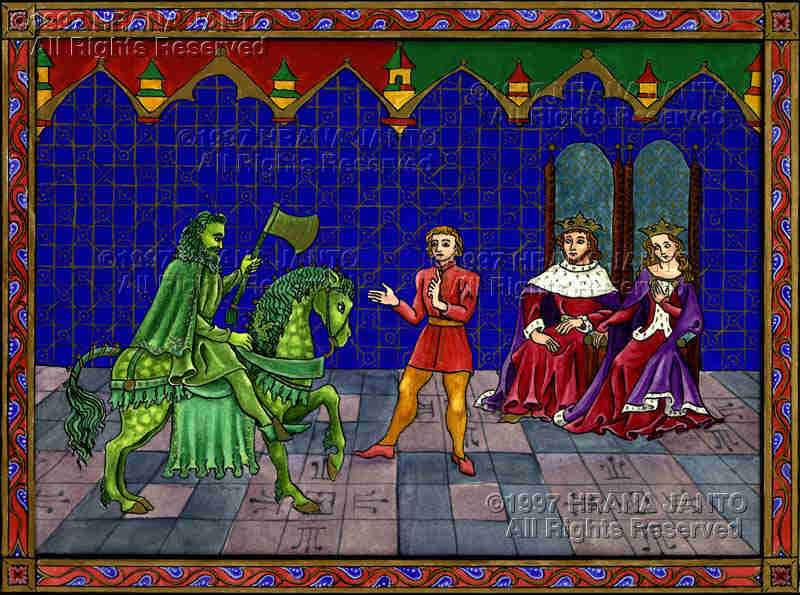 Does Sir Gawain survive the challenge of the fearsome Green Knight? How did Isis find her long-lost Osirus, and did she bring him back from the dead? What magic lies within the sacred cauldron? How did Spartan warriors pass secret messages during battle? Find clues to these and other mysteries in my historical and mythological paintings. Dozens of unique originals are available! Also medieval replica works, mythological illustrations, and book cover originals; many of the images on this site.. Attractive pricing starting from $400 for miniatures up to several thousand for larger (12" ~ 15") works. Please inquire about images you are particularly interested in. If you can't afford an original, Fine Art Reproductions of my work are available from $20 each. Like what you've seen? For specific images, I custom-paint on both comission and royalty contracts. You can buy a painting or drawing outright, or commission its creation and first-use or exclusive rights to its reproduction. Originals for some of the pictured works are available. Ask about re-use fees for existing works. Here's my biography and partial client list. Basically, I follow my fascinations: Art, Imagination, Creation, Mythology, and the Sacred. Send me e-mail--- If we need to to talk on the phone or set up a meeting, we can make further arrangements. Be sure to include your return address and contact information. NOTE: All images and text herein Copyright Hrana Janto, 1985 ~ 2015, all rights reserved. Please do not copy or redistribute any of my images without first obtaining written permission from me. Thank you. Site Design & More provided by Sound Visions Consulting.